and, we like to think, discerning people. Secondhand bookstores with their often astonishing contents at rock-bottom prices are right up our alley. The beauty of shopping in places such as these is that one can get good deals as well as unearth the occasional prize of a long-desired, out-of-print, signed, or even first edition. Shopping with care, one can pick up a few bargain birthday or Christmas gifts as well. treasures. For one, there is Albany's Dove & Hudson, located (not surprisingly) at the intersection of the two downtown streets of its name. 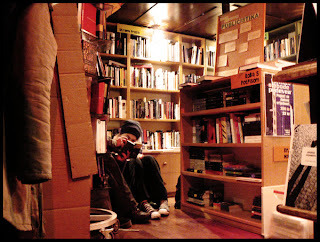 Relatively small and with limited hours—check before you go—it’s a cozy place to spend time searching the stacks. 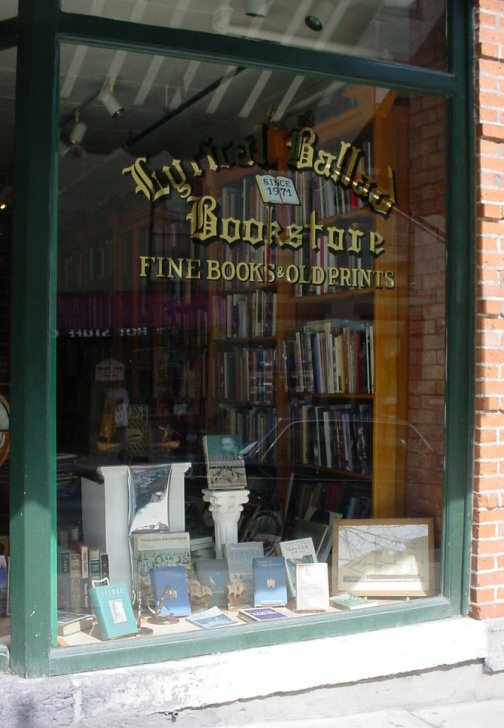 Farther afield on Phila Street in Saratoga, is the charming and poetically named Lyrical Ballad Bookstore. Obviously set in an old bank building, it comes complete with something you don’t see every day in an establishment of this sort: a vault! The collection—which includes prints and postcards as well as a great variety of books—spreads out over several rooms, creating a delightful maze to wander through and explore. factors enter into the equation. The wide assortment of books—from general fiction, mysteries, and children’s books to comics and cookbooks—is very well organized in a large well lit room and is nothing short of amazing. Besides, all of the books are to be had at very low prices, usually going for around four dollars apiece. I recently found two of Wally Lamb's novels for $3.95 each. 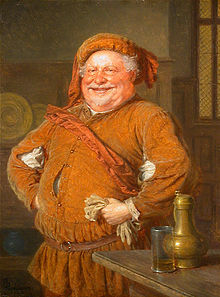 The owner, who is nearly always on the premises, is quite helpful and only occasionally crotchety. Once you get him talking, too, he has a trove of tales about things he sees and hears dealing with the public. Like the person who came in looking for the author Annie Moss, which turned out to be anonymous. And another who thought the owner should allow people to exchange books each time they come. 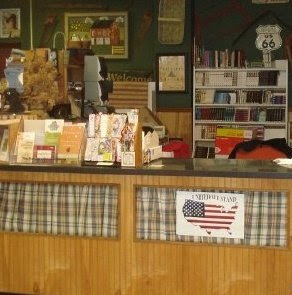 It’s not a library, people; it’s a business! The last time I was in The Book Barn the owner was explaining to me the hit secondhand bookstores have taken both from the advent of the The Kindle and from the closing of Borders, which drew a lot of folks in with its going-out-of-business sales. 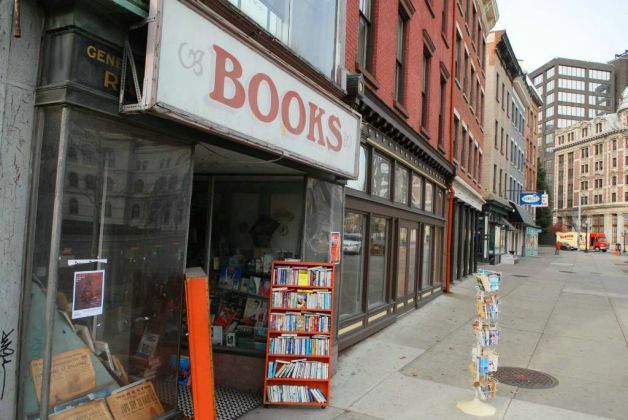 I really hope that that secondhand bookstores like this one will weather the storm of issues such as these and of the current economic climate. 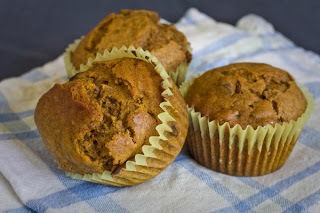 I don’t think I’ve ever met a recipe containing pumpkin that I didn’t like! Be it sweet or savory, from pumpkin pie to pumpkin soup, I’m immediately attracted to dishes of this sort. Here are three varied uses of canned pumpkin that our family has enjoyed over the years. together 1 cup of pumpkin purée, 1/3 cup vegetable oil, 2 large eggs, 1¼ cups of sugar, ½ teaspoon ground cinnamon, ¼ teaspoon ground cloves, ¼ teaspoon powdered ginger, ½ teaspoon baking soda, and ½ teaspoon salt. Then stir the ingredients of both bowls together just until combined. Put the mixture into muffin tins (it makes about a dozen), about ¾ full, and bake at 350 degrees for 25-30 minutes. Test with a toothpick in the middle to check for doneness. These moist cake-like muffins are great for breakfast or a snack. Kids love them as much as adults! 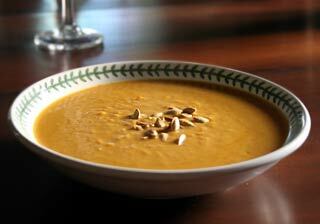 Another fall and winter favorite is Zesty Pumpkin Soup, which is also a simple recipe. Sauté one cup chopped onion and one minced garlic clove in two tablespoons of butter and a little oil. Put in a dash of salt, about a teaspoon of curry (optional), ½ teaspoon ground coriander, and some crushed red pepper. Then pour in three cups of chicken broth and cook for 15-20 minutes. Finally, add in one can of pumpkin and about a cup of half & half, heating it for 5 minutes. Garnish with pumpkin seeds or sour cream and chives, if desired. a caramel-colored liquid. Immediately pour the golden syrup into the bottom of an 8X8X2” (or so) pre-heated cake pan; I use Pyrex or CorningWare. Turn and roll the pan to coat the bottom as evenly as possible. Combine ¾ cup sugar with ½ teaspoon of salt, and a teaspoon of cinnamon. Add in one cup of pumpkin purée with five eggs, beating well. 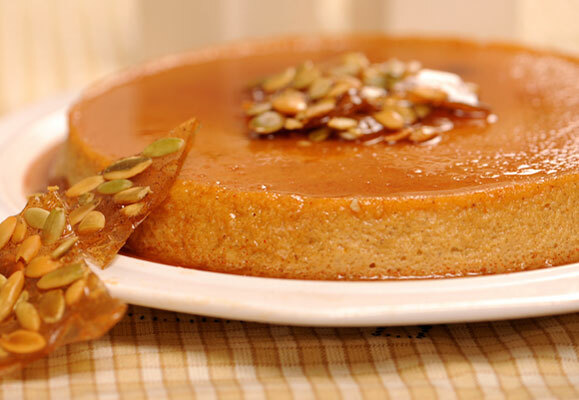 After putting in 1½ cups of evaporated milk, 1/3 cup water, and 1½ teaspoon vanilla, you’re ready to pour the mixture into the caramel-coated pan. Set the pan into a larger container of hot water and place in a pre-heated 350 degree oven. Bake for an hour and fifteen minutes, until a knife inserted in the middle comes out clean. Cool and then refrigerate. To serve, run a knife around the sides of the pan, place a serving dish on top, and carefully flip the flan over to unmold it. 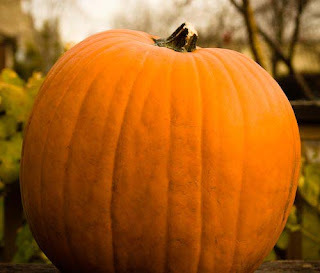 Pumpkin really is very versatile, as you can see from the variety of recipes listed here. I'm wondering what other ways people have of using the vegetable, especially in foreign countries. Looking forward to any and all comments from my readers! I’d give you my versions of the turkey, gravy, and dressing. Before I get into the recipes though, I want to stress the importance of buying the best bird you can afford for the holiday. I used to always purchase a frozen turkey from the supermarket until I discovered that the fresh variety is so much tastier. Usually, the bird is the least interesting dish on the Thanksgiving table, but last year we had an especially good one from Plainville Farms in central New York State. Their turkeys, antibiotic- and hormone-free, are so much better than average; I remember that I kept saying “Wow! The meat is really delicious!” Of course, it’ll be more costly, but in my mind, it’s worth it. rub 2 tablespoons of softened butter, 1 teaspoon of oil, 2 cloves of chopped garlic, and 2 teaspoons of Dijon mustard all over. Sprinkle with 1 teaspoon each paprika, thyme, and rosemary. (Don’t worry about being too exacting with any of the amounts.) 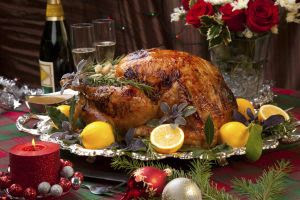 Put the bird into a roasting pan and place into a 375 degree oven and, after a half-hour or so, begin basting every 15 minutes with the juices in the bottom of the pan. When the turkey is done, cover it with aluminum foil and let stand for at least 30 minutes. This last step is important because it keeps the meat from drying out. adding in the heart, gizzard, and liver; I sometimes use some or all of the innards to make the broth, but I don’t chop them into the final product. In a separate pot add three tablespoons of butter and the same amount of flour; cook and stir for a minute or two and then strain in some of the turkey stock you made. 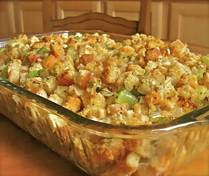 Use the juices at the bottom of the turkey roasting pan to give added color and flavor to the gravy. At this point I also put in two or three chopped hard-boiled eggs. amounts of sage, thyme, and rosemary. When done, I put the mixture into a large bowl containing the cubed cornbread and about ½ a bag of Pepperidge Farm Herb Seasoned Stuffing. I then mix in 3 hard-boiled eggs, 3 raw eggs, ½ cup chopped pecans, and at least 3 cups of chicken or turkey broth. It’s important that the mixture be kind of soupy so that it won’t dry out too much in the oven. You then bake the dressing covered with aluminum foil for about a half-hour. So there you have some of my traditional favorites. Whatever you decide to serve this Thanksgiving, I hope you enjoy it. 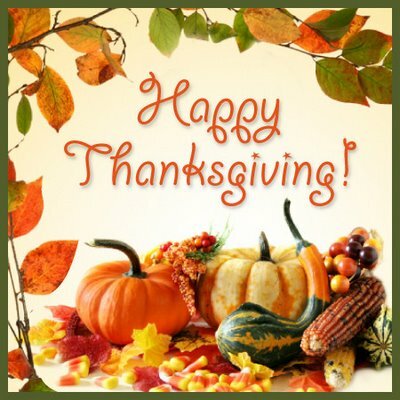 Happy Turkey Day, everyone! best: enjoying good food. Whether it’s just the two of us at home, a small dinner party, a large backyard barbecue, or dining out at a restaurant, for us eating is truly one of the great pleasures of life. 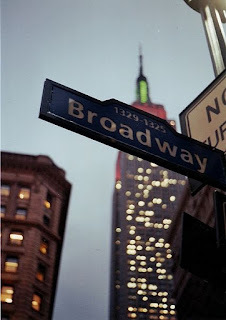 The enormity of the Big Apple and the sheer number of eateries to be found there can be, to say the least, daunting. But, as I’ve mentioned in a previous post, we’ve had good luck in the recent past researching restaurants by neighborhood, cuisine, and price range through New York Magazine online. and by 3:00 we were starving and wondered if restaurants would be open at that hour. (This notion probably stems from being disappointed several times in France where the kitchen staff nearly always takes its break before the dinner service starting at 2:00.) No need to worry in this country, however. Woohoo! 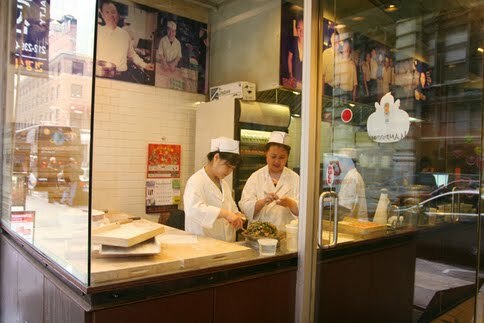 Dumpling makers were hard at work in the front window at Mandoo Bar--mandoo being the Korean word for dumplings, as it turns out. A table was available in the stark but clean place, and, lucky for us, they offered free pickles and kimchee (and even refills) which helped to quiet our rumbling, grateful stomachs. For my lunch, I chose Mandoo Soup with pork and vegetable dumplings, which was soothing on the very cool windy afternoon. Hubby had Mool Mandoo, which turned out to be 10 dumplings exactly like the ones in my soup. Except for this ordering mistake on our part, we were pleased with the healthy and relatively cheap luncheon meal. A man nearby had a big bowl of what seemed to be bibimbop, which would be worth a try next time. but because of our late lunch we decided to go with something less caloric and heavy for that time of night. We started out following highly-praised reviews of deviled eggs on pork toast; they were indeed tasty, though a bit greasy for our tastes. Both of us chose small plates as our main dish. My crispy pig’s ear salad had a nice mix of spinach, egg, and oyster mushrooms, though the pig's ear chips reminded me a bit too unfavorably of the pork rinds preferred by former President George H. W. Bush. My husband really enjoyed the tête de cochon salad, served on brioche toast. Resto has a large selection of Belgian beers and a small, but expensive wine list; we did find a quite palatable rosé to accompany our meal. The service was very good, but I would be remiss in not talking about the noise level inside the restaurant which bordered on unbearable. I pointed this out to our server who said that her parents had just told her the same thing when they dined there the previous week. The management should really think about carpeting the floor or at least a wall to absorb some of the sound. 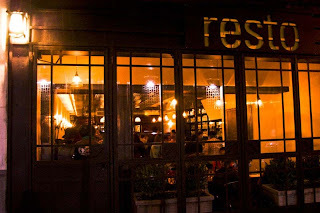 Over all, we were happy with our choices of restaurants in the city and welcome any advice readers have for future visits. Long-time readers of this blog are fully aware that we are true Cheapos. On previous trips to New York City we have spent time enjoying what there is to do and see at no cost: walking through Central Park and the South Street Seaport; taking free guided tours of the public library and of Grand Central and its neighborhood. Our visit to the city last week was no different. After googling “free stuff to do in NYC” once again, we decided to take advantage of the tour of Times Square on Friday. the city, being at the heart of the theater district. 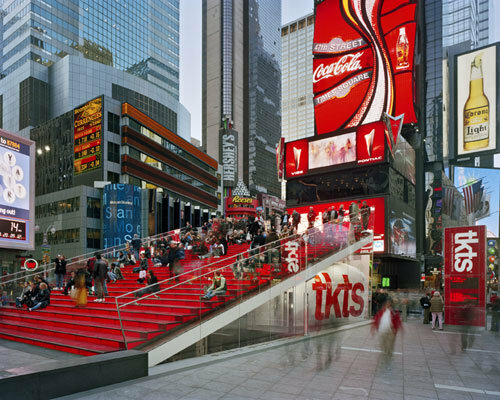 This transformation was in part accomplished by a non-profit organization, the Theatre Development Fund (TDF), which got the idea of attracting people back to the theater by offering low same-day purchase prices at the TKTS discount booth. Once an unsightly trailer, the building is now an unusual, triangular shape, complete with glass steps which offer stadium-type seating for people waiting hours to buy tickets. 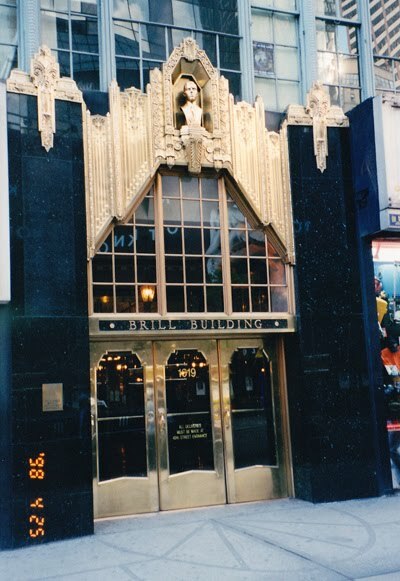 leased offices in the building; songs such as Yakety Yak and Save the Last Dance for Me were produced here. Saint Malachy Catholic Church (1903), lovely with its murals of angels, set up a midnight mass on Saturdays for actors. The I. Miller building (1926) provided shoes for dancers and non-dancers alike; the exterior is decorated with statues of four famous women of the period, including Mary Pickford. The New York Times building still stands on the south side of the square, but is unrecognizable because it, like most structures here, is covered with huge electronic billboards. 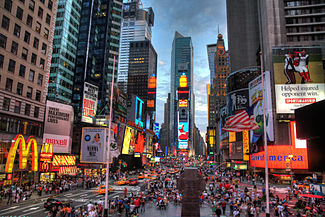 In fact, it is now a requirement that all Times Square buildings have bright, moving lights on them. We learned a lot from the tour which only cost us a tip for the guide. There’s so much fun to be had for next to nothing in the big city. Future trips will allow us to see the Union Square area and perhaps Bowl-Mor lanes, located in Times Square. of year, it’s the change in diet which accompanies chilly weather. 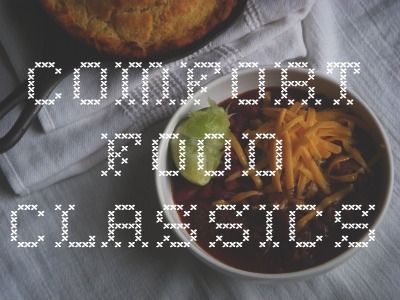 I like all kinds of soothing, hearty fare like soups and stews in fall and winter. By and large, the cooler seasons, especially the winter months, are stressors which make us think of preparing our favorite comfort foods. In my mind, the whole idea of meals which give a sense of well-being undoubtedly relates to happy moments, and especially loving people, from the past. hard-boiled eggs when the soup was done. The biggest difference I’ve found between cookbook recipes and what I’m used to is in the dumplings. Some even suggest using Bisquick to make puffy dumplings which float on the top of the soup. No, no, no! As one fellow Arkansan’s hilarious blog posting points out, messing with the dumplings technique in this way can lead to serious marital issues! To prepare them the “right” way, you have to make them from scratch and they must be like large, flat noodles which closely resemble the chicken in the soup. 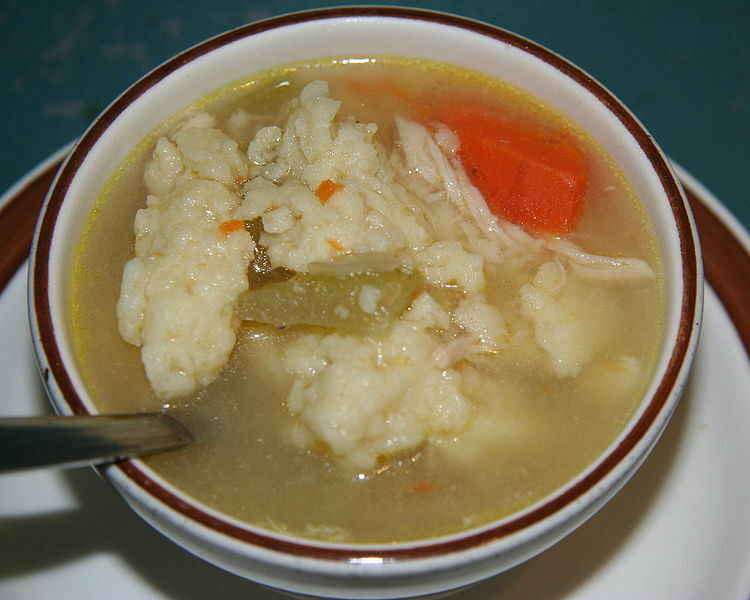 To make the dumplings, mix about 2½ cups of flour with one teaspoon of sugar, salt, raw eggs, some chicken stock, celery salt, poultry seasoning, and a little oil. The dough will be a little sticky. So you then flour a board and pat out the mixture, before cutting the dumplings into rectangles or diamond-shapes. Then put them into the hot soup and cook until they float, about ten minutes. Nothing like it if you have a cold or on a frigid winter night! of spices. I put salt and pepper on the chicken pieces and then add whatever I’m in the mood for: paprika, garlic powder, maybe basil or thyme or oregano. One thing is for sure: no egg or buttermilk goes into this recipe. After the spices, I dust the chicken pieces with flour and fry them until done in a pan containing about an inch of oil. Once the meat is cooked, I remove it from the fry pan and add about two tablespoons of flour to the oil. Stir until the flour begins to brown, add salt, pepper, and enough water and milk to get the right consistency to the gravy. Serving the gravy with homemade biscuits would be ideal, but I usually settle for bread. A close relative of fried chicken is fried fish. This is so simple: mix together yellow cornmeal and flour, about 1/3 cup each. Salt and pepper the pieces of fish, dip in the cornmeal-flour combo and fry as above. No gravy here, but delicious just the same. Well, there you have it: some of my all time favorite dishes. I would love to know what my readers’ comfort foods are; feel free to comment on this post! Anyone who has ever watched a toddler or young child at play has probably, consciously or not, observed yoga poses. No one can be sure of the exact origins of the ancient Indian practice, but I sometimes feel that the stretching, squatting, and balancing of children had something to do with it! At any rate, the workout you get from seemingly simple moves works every part of the body—from your toes to your neck—and it really feels good. couple of months. While I’m doing yoga on my own, I feel like I can hear my instructor’s voice telling me to make necessary corrections! I’m using a book I bought awhile back entitled Yoga for Beginners. 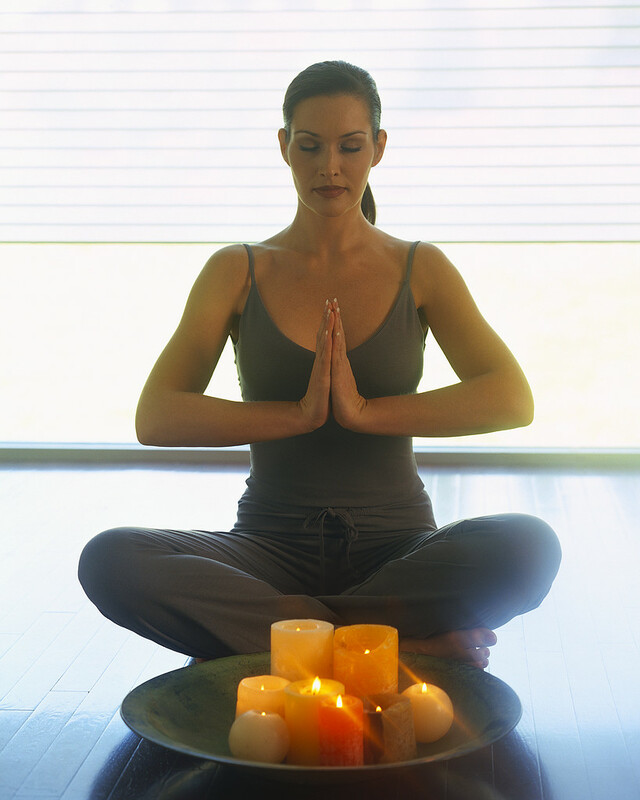 Despite its title, it contains an intermediate workout as well as information about meditation. One of the best things about the book is that it’s spiral-bound and can stand next to your mat for easy reference while you are learning the series of exercises. a full yoga workout on an empty stomach. Having a room set up with your mat would be ideal, but I just drag my mat out into the family room twice a week. I usually spend 40 to 45 minutes in the morning, starting out and finishing up with five minutes in “corpse pose” relaxing. The benefits are nothing short of amazing. When I took my first yoga class decades ago, I immediately noticed a boost in my energy level. You find, too, that your body responds to the poses; you improve. There are things that I can do now, like sitting back on my heels without killing my knees or doing "down dog" without my wrists aching, that I couldn’t manage for long at the beginning. 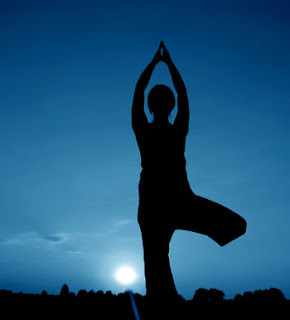 Yoga also improves your balance through the practice of asanas like tree pose. Regulating your breathing reduces stress and brings a sense of tranquility. In fact, the 16-18 million practitioners of yoga in the U.S. include groups of New York City cabbies who use it to combat road rage in their profession. All in all, yoga makes you more aware of your body. If you’re interested in the philosophy behind it and its spirituality aspects, you can sign up for a free Yoga Journal, delivered to your inbox once a week. I hope you’ll give it a try. Namaste! me a bit skeptical, since we’re not huge fans of Morbier, a French cheese with a layer of ash running through the middle. (Little did I know at the time that the ash actually has a function, which is to mellow the acidity of the cheese.) But I bought Bonne Bouche anyway figuring we might as well give it a try. Very bright decision on my part! 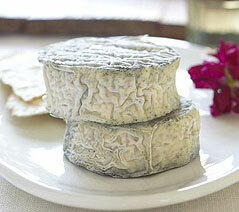 It was, in fact, an answer to our prayers: an aged American goat cheese to rival the chèvre produced in France. No wonder it has won several awards! “double-cream” on top! Cremont proved to be well worth the five dollars I spent that day. Tasting the velvety blend of cow’s and goat’s milk was like being in heaven! 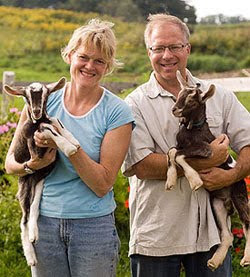 My husband made the connection that both cheeses were produced by Vermont Butter & Cheese Creamery in Websterville, just outside Barre. Since I had planned on visiting friends in Northfield on our trip to Vermont last week, I went by the creamery to see what other products they have to offer. area was Frenchman Jacques Cartier in 1535. 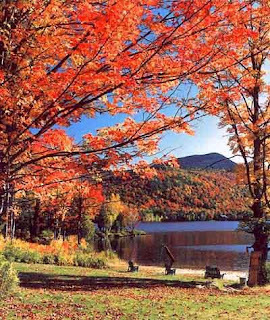 Although there is some controversy about the exact origin and meaning of the state’s name, many believe that explorer Samuel de Champlain referred to the area as les verts monts in the early seventeenth century. 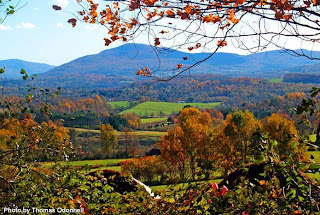 The land has indeed been called the Green Mountain State from the early days of our country’s history, an apt motto because of its landscape. 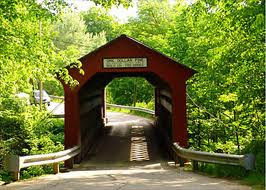 Driving through the state, visitors can enjoy varied rural scenery. High peaks of the Green Mountains form a spine which runs through the middle of the state. Panoramas of wide-open plains stretch west to Lake Champlain and the Adirondacks of New York State. Red farmhouses and tall silos show up at nearly every turn. Pastures of sheep and cattle dot the countryside. Yet, despite the fact that the ratio of cows to people is the highest in the nation, humans still outnumber the bovine population, by some estimates two to one. 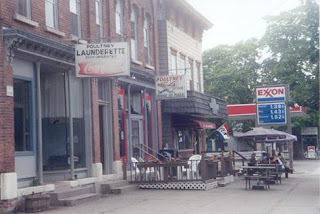 towns give the visitor the feeling of being transported back in time. 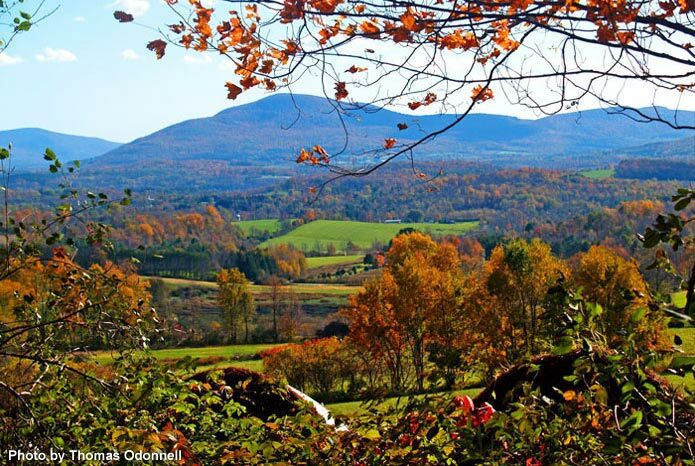 Take Poultney, for example, population 1,612, and home of Green Mountain College. 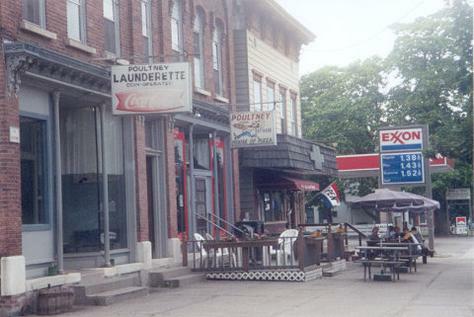 Located in the southwestern part of the state, the charming village has one main street and one stoplight. Highlights of downtown include a True Value hardware store, a Shaw’s supermarket, an organic food co-op, a library, and one of the ubiquitous white-steepled churches. Because of the size of the town, locals need only refer to the aforementioned locations by using the article “the,” as in “the library.” In the middle of Main Street one finds Hermit Hill Books, my favorite kind of bookstore: sizeable, cozy, well-decorated, and, most importantly in my view, well-organized. You could spend hours looking through the shelves. killed scores of people, destroyed homes and at least thirty covered bridges. The destruction was wide-spread but was especially felt in the central and eastern parts of the state. As of this date, some roads are still closed, notably parts of route 100 near Killington. Traveling around can still get kind of complicated and it’s best to check before planning your itinerary. 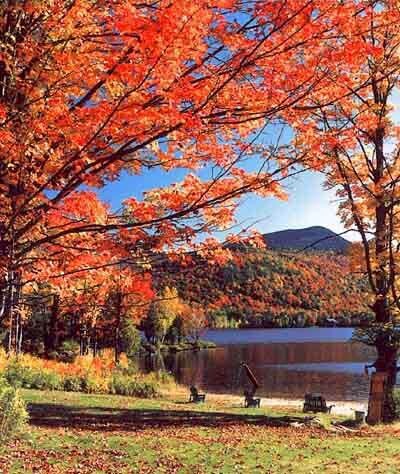 of the sugar maples, change to brilliant colors, beckoning “leaf-peepers” from all over the country. 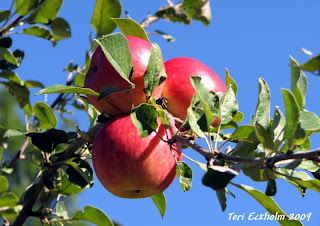 An early autumn tradition in our house is to visit one of the many orchards within a half-hour drive to pick apples; there are many to choose from including Indian Ladder Farms in Altamont and Goold's in Castleton. Yesterday we chose to make our annual pilgrimage to Bowman Orchards in Rexford near Clifton Park. Margaret Shepherd whose ancestors began working the farm on Sugar Hill Road in 1785. 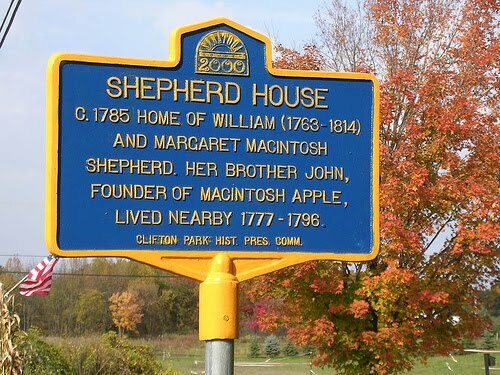 An interesting side note, Margaret’s brother John McIntosh (or MacIntosh--both spellings exist), who was born in Schenectady, found his way to Ontario where he discovered the apple trees whose fruit he named for himself. The semi-tart McIntosh apples are now the most-harvested apple in New York State. An old cemetery of the Shepherd family is located in the orchard. inside the ripe apple. The farm has its own weather station to help workers prepare for whatever Mother Nature has in store. The spraying of pesticides on the trees is done in a judicious manner after insects have been identified and in consultation with fellow apple farmers. We learned that, just because apples look ready to eat, the only way to tell for sure is by cutting one open to look for the brown seeds inside. Our tour took us to see where the apples are washed, separated by different sizes for sale, stored at 34 degrees, or pressed into cider. There’s a store on the property where cider donuts and other apple products can be purchased. Many preschoolers come to farms like this one each year. Bowman’s has other plants such as pumpkins, raspberries, strawberries, as well as an array of farm animals. We noticed horses, goats, sheep, and pigs—which were as much of a treat for us as for the small children around. spongy, tasteless concoction—was ever heralded as the staff of life. Anyone who has traveled to other parts of the world has probably noticed the difference between other cultures’ bread-making skills and our own. 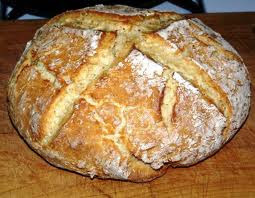 From my first trips to Europe, I enjoyed delicious soda bread in Ireland, hearty Bauernbrot in Germany, and, of course, crusty baguettes in France. Yet, like everything else in the fast-food world of today, deplorable loaves can be found abroad as well. Some of the plastic-wrapped poor imitations found in French supermarkets these days are barely edible. determine the winner, I’m definitely up for visiting the top boulangeries and drawing my own conclusions about their breads. 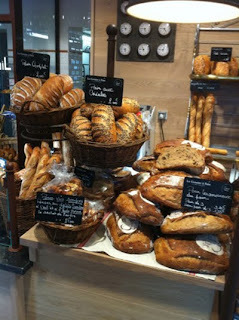 In both 2010 and 2011 the winning Parisian bakers were from the 18th arrondissement in Montmartre. Even more surprisingly, their bakeries are both on the same street, la rue des Abbesses: Au Levain d’Antan at number 6 and Le Grenier à Pain Abbesses at 38. Just one look at those golden loaves brings back the memory (à la Proust and his madeleines) of joyously crunching into that crispy, tasty bread. Ah, well, so much for reminiscing. 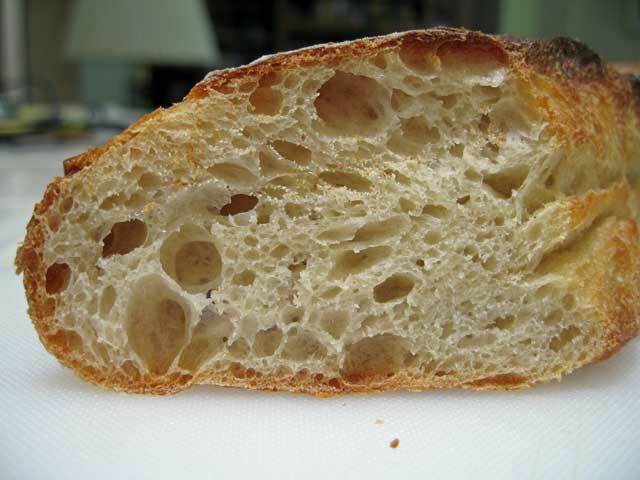 The question remains: where can we find the best breads in the Capital District? For one, The Placid Baker on Broadway in downtown Troy. This bakery offers up delicious baguettes and other types of breads, as well as flaky croissants (both almond and plain), and good desserts; it’s definitely worth the trip. A bit farther afield, also on Broadway but in Saratoga, we have Mrs. London’s. This combination café and bakery is probably the best all-around in our area. It’s a little far to go, but they usually have a stand at the Troy Farmers’ Market on Saturdays. Gotta get there early, though, before they’re sold out. originated by Michael London from Saratoga. My husband is especially fond of their nutty, multi-grain bread. For me, the best baguette close to home is from The Fresh Market. I made the mistake early on of thinking that the French bread wrapped in paper would be the tastiest; but no, it happens to be an unassuming loaf covered by a plastic bag. It puts the artisan bread from Price Chopper to shame in terms of taste and texture. So light and crusty—mmm. Might just have to make a trip there today! 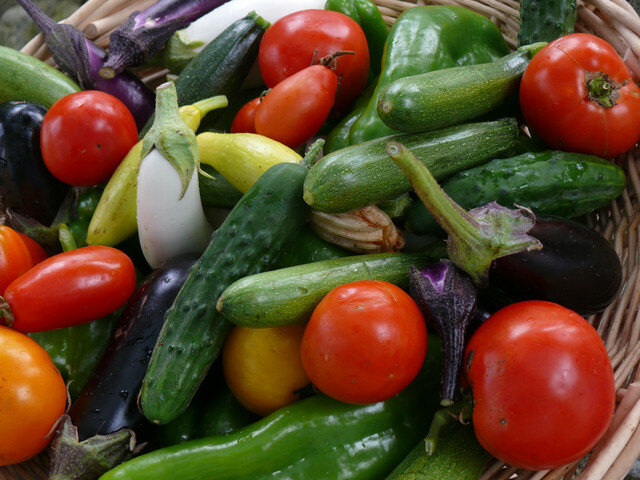 The end of summer is the best time for getting great-tasting vegetables from backyard gardens or farmers’ markets. Baskets overflow with peppers, tomatoes, squash, eggplant—anything you can imagine. All this fresh produce coincides with my latest idea of inaugurating healthy “meatless Mondays” at our house and motivates me to try new as well as tried-and-true vegetarian options. This week at a small farm stand on Route 155, I spotted a fresh-picked eggplant—complete with thorns on its stem—which immediately inspired me to make ratatouille. 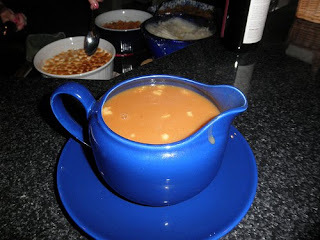 I have Julia Child’s version of the classic French dish, but decided to explore online to see what others had to offer. 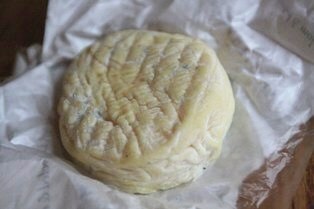 The best one, in my opinion, came from a well-known recipe site in France: www.marmiton.org. 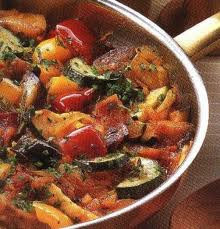 Ratatouille is not hard to make, though the amount of chopping involved is time-consuming. According to this recipe, you first cook a chopped onion and any color of bell pepper in oil. You then add in about three medium-sized fresh tomatoes, quartered, two to three chopped garlic cloves, some fresh thyme, and two bay leaves. Salt and pepper the combination and cook it on medium low heat for about thirty minutes. Partially peel the eggplant (so that it looks striped), chop it into cubes, salt it, and let it sit on paper towels for about a half-hour. Then transfer the cubed eggplant and two halved and sliced zucchinis to the tomato mixture. (The recipe actually recommends cooking the eggplant and zucchini in oil before adding to the other vegetables, but I skipped this step; recipes are only a suggestion after all.) Cook until done, probably about 20-30 minutes more. And voilà! There you have a lovely, colorful, wholesome dinner. We had it accompanied by a tomato and onion salad, French bread, and gruyère cheese. Something else the crop of fresh summer vegetables seems to demand is stuffed tomatoes. Here, I offer two different Greek versions of the dish. One that I’ve tried before comes from Eva Zane's cookbook Greek Cooking for the Gods. For this dish you cut the tops off five tomatoes, scooping out the pulp, which you chop and reserve. (Keep the tops of the tomatoes as well.) Sauté onion in oil, adding in the tomato pulp, fresh parsley, garlic, dill, oregano, a half cup of raw rice, and a quarter cup of pine nuts. Put in about a tablespoon of tomato paste, a quarter cup of white wine, salt, pepper, and a dash of sugar. Simmer for about twenty minutes. Then stuff the tomatoes with the mixture, covering with the tops. Pour some olive oil over the tomatoes and add about ½ cup of water to the pan. Bake at 350 degrees for 35 minutes. 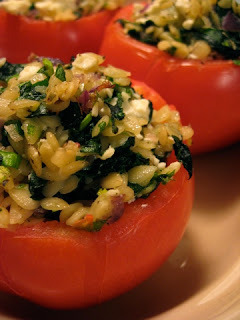 A recipe I just found today is similar but calls for orzo instead of rice and some chopped fresh spinach and feta. I might just have to try that one! 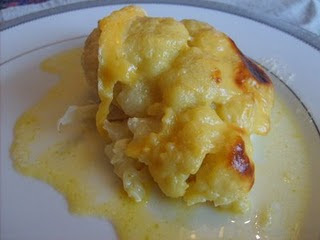 Last, but not least, is cauliflower-potato gratin, a recipe we make throughout the fall and winter. I usually partially cook the whole head of cauliflower in a pot of boiling water for about 20 minutes. Slice three or four large potatoes, keeping them in cool water until they’re ready to be used. Butter a baking dish and start layering the potato slices (which you have dried off on paper towels) and about half the cauliflower cut into pieces. (Save the rest for another use, like cauliflower soup.) Sprinkle every two layers with grated gruyère and pour a white sauce made of butter, flour, milk, and grated nutmeg over the entire casserole. Top with more cheese and bake till done in a 375 degree oven, about 45 minutes. Feel free to share your favorite vegetarian (or otherwise) recipes with me! I'm always looking for fresh, tasty ideas for meals. No one in his right mind would ever refer to us as athletic! 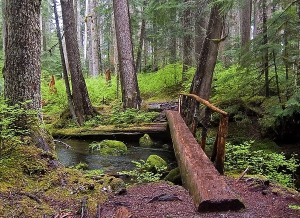 That being said, we do like to spend time—especially on weekends— taking short hikes and enjoying natural areas. I recently discovered a website which can help anyone, nationwide, find walks close to home. With this post I’d like to describe some choices for embracing Mother Nature around New York’s Capital District. 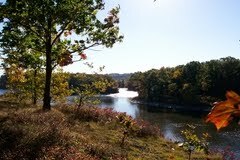 Perhaps one of our favorite places to walk whatever the season is Peebles Island State Park in Waterford. We've been there in spring, summer, and fall, even after Thanksgiving dinner. Although there's a parking fee in most of the warm weather months, one can always park in downtown Waterford and walk across the bridge to the island. Located at the confluence of the Hudson and Mohawk, the island has trails which follow the water's edge. While the paths may not be very well marked, it would probably be impossible to get lost in the small location. The big loop around the island, which takes about forty-five minutes to complete, offers beautiful views of the rivers, birds, a small dam, and some falls. Just be careful not to get too near the edge or you may find yourself closer to the water than you planned! Thacher State Park, in the Helderberg Mountains outside of Voorheesville, is another close-by favorite. The view of the river valleys and the mountains from the parking lot alone is worth the trip! From there, you can take a simple walk along the fenced-in side of the cliff or you can descend a long staircase, passing under a waterfall to admire the scenery. The park has playgrounds, as well as big fields for playing Frisbee or baseball with the kids, and grills and tables for family picnics. In the fall, you can also go by Indian Ladder Farms and get fresh apples and cider. Then there is Grafton Lakes State Park. Mostly known as a swimming and boating area, Grafton has some lovely trails through the woods around its two lakes as well. We’ve often spotted signs of beavers in the area: tree stumps gnawed to a fine point; intricate dams sitting out in the water. In the winter you can go skating on the frozen lakes. There are really so many local places to discover. 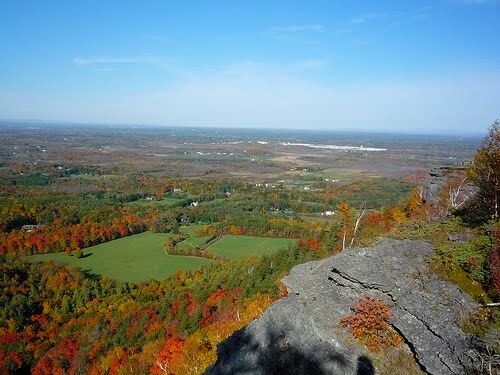 Beebe Hill near Chatham presents a two-mile walk, with a fire tower at the top for the more adventurous to climb. 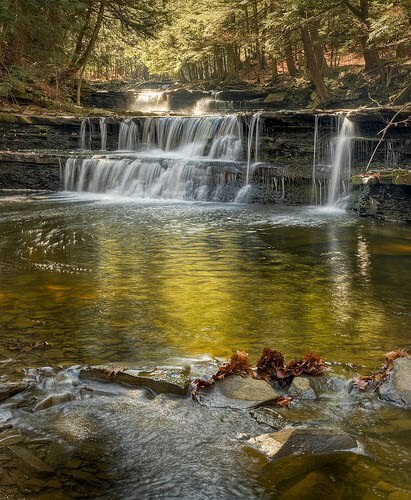 Christman Sanctuary in Schenectady County has a very easy circuit which includes a nice waterfall (pictured left). If you’re willing to travel farther afield, Kaaterskill Falls in the Catskills is well worth the drive. A somewhat challenging trail--steep but short-- goes up Prospect Mountain and offers wonderful views of Lake George. So there you have a few ideas for hikes in the Albany area, just as the cool and colorful fall days approach. Enjoy!